All too often, attorneys believe technology is too expensive, too complicated, or will not improve their efficiency or bottom line. Attorney Dan Siegel, who founded ITS, understands these concerns because he continues to practice law at the Law Offices of Daniel J. Siegel, LLC. ITS will show you how technology can be user-friendly, save money, and improve client services. Unlike most consulting firms, ITS focuses on attorneys and their staffs, offering solutions that enable ITS clients to become more efficient and more profitable, tailoring its services to the needs of small and mid-sized law firms. As a result, ITS works with a variety of vendors to assure that, whether you need case management, deposition or other software, or just training, ITS can meet your requirements. ITS also provides software and skills training for firms of all sizes. 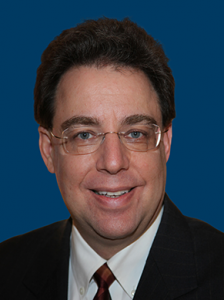 Attorney Daniel J. Siegel has always combined the practice of law with his passion for technology. In the late 1980s, when many law firms were still using electric typewriters, Dan convinced his partners to install a computer network as well as case management software. As the use of law office technology became more common, Dan discovered other products that increased his productivity and his effectiveness as a litigator. Among the products Dan discovered were Adobe® Acrobat® and LexisNexis CaseMap, TextMap, and TimeMap. Dan became known as an advanced Acrobat user and has written numerous articles and presented dozens of seminars about the product, with attendees regularly commenting about how little they really knew about it. In 2005, after being a partner at two prominent Philadelphia personal injury and mass tort firms for more than 20 years, Dan decided to be his own boss. Instead of just opening a law firm, he opened a law firm (the Law Offices of Daniel J. Siegel, LLC) and a technology consulting firm (Integrated Technology Services, LLC), with both businesses located in suburban Philadelphia. Unlike traditional legal consulting firms, Integrated Technology Services, LLC (ITS; http://www.techlawyergy.com) provides lawyer- and paralegal-focused guidance to lawyers throughout the country, with the goal of helping clients improve their workflow by using technology. Dan, Pam, and their staff continue to train lawyers and others how to use Acrobat and numerous other products; they also provide case-specific consulting, helping clients get even more out of the products. ITS also sells and supports Acrobat, as well as case management, document management, litigation analysis, and trial presentation products, helping firms with all aspects of practice management, ranging from becoming paperless to trying a complex case before a jury. Clients regularly compliment Dan and his staff for their ability to train them, for their jargon-free approach to technology, and for their advice about how to improve case analysis and present their cases most effectively. Dan is the author of The Ultimate Guide to Adobe Acrobat DC, The Ultimate Guide to LexisNexis CaseMap (the second edition of his book, The Lawyer’s Guide to LexisNexis CaseMap); How to Do More in Less Time: The Complete Guide to Increasing Your Productivity and Improving Your Bottom Line; Checklists for Lawyers (which he coauthored with Pam Myers); Android Apps in One Hour for Lawyers; Changing Law Firms: Ethical Guidance for Pennsylvania Law Firms and Attorneys (first and second editions); and Pennsylvania Workers’ Compensation Law: The Basics—A Primer for Lawyers, Workers, Medical Providers, Insurance Professionals & Others (now in its third edition). You can reach Dan by email at dan@techlawyergy.com. With more than 20 years of experience in the legal field, Ms. Myers is known for her technological acumen (Dan says she is the most “tech savvy” person he has ever worked with), her attention to detail, her ability to anticipate an attorney’s needs, and her dedication to obtaining the best results for clients. Her genuine enjoyment of technology and what it has to offer helps her to convey to others not only how to use technology but also why they should use and embrace it. Ms. Myers’ obsessive use of checklists, and lists in general, was one of the reasons she coauthored Checklists for Lawyers with Dan, and her use of Acrobat contributes to her success. 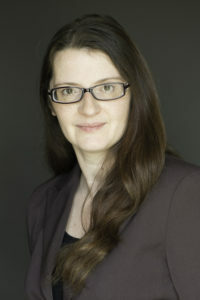 Ms. Myers has worked as a paralegal since 1996 representing both plaintiffs and defendants. While employed as a paralegal at a large, nationally known firm, she also served as the paralegal coordinator for her practice group, supervising and training the group’s paralegals. You can reach Ms. Myers at pmyers@techlawyergy.com. Dan was terrific and the program was very informative. Thank you for all you have done with getting my office started with Time Matters. We sincerely appreciate your efficient and gracious customer service. You were able to turn a stressful situation into a smooth transition for my law firm. Dan and Pam are a pleasure to work with. They understand how our firm works because they are practicing attorneys and paralegals. That makes an enormous difference. Copyright © 2018 Integrated Technology Services LLC. All Rights Reserved. Designed & Developed by 99MediaLab.